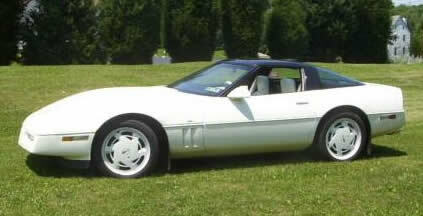 35th Anniversary Corvette (coupe only) features a white body and white leather interior. New six-slot 16x8.5 wheels are standard on the 1988 Corvette. Horse power remained at 240 except for coupes with 3.07:1 axle were 245.